Are you in need of more storage? I agree, that is a rhetorical question. Rhino Rack roof mount cargo baskets are going to free your car from clutter, are built to last, and look good cruising down the road. Both the roof mounted trays and platforms are built from heavy duty steel, but that doesn't mean these guys are heavy. Rhino Rack engineered their carriers to be the best of both worlds – heavy duty, but still light enough to install and remove without the need of a small army. Both the wire mesh tray and the wire basket are zinc-plated, and then finished with a black powder-coat. The roof mount cargo basket is also finished in black powder-coat, which is ideal for protecting your carrier from rust. 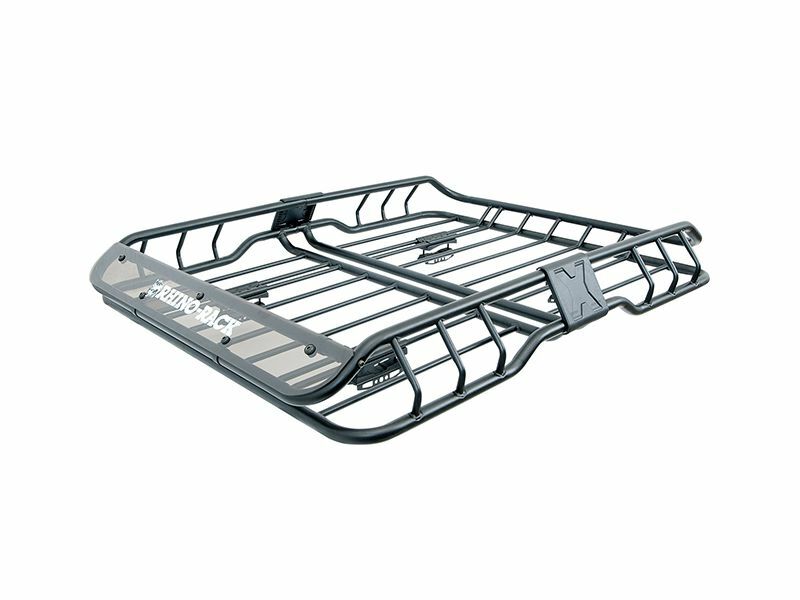 The wire mesh tray and the wire basket come with mounting hardware that specific to your type of crossbar, while the cargo basket comes with universal mounts that fit most crossbars on the market. If you're planning a big trip, but are worried about the storage in your vehicle, Rhino Rack roof mount carriers are the ideal solution. They look great, offer exceptional functionality, are easy to install, and are built to last. Get yours, and reclaim your car from the tyranny of luggage! Rhino Rack roof mount carriers offer a simple installation that requires no drilling. All carriers attach to pre-existing crossbars using mounting hardware that is specific to each crossbar. If you have any questions, please give us a call at 877-216-5446.